My beloved friend since many lives Satyama Padma has left her body yesterday (2017-11-08). My heart is in pain to have lost a beloved and beautiful friend since many lives, but I am immensly grateful that I was able to share the satsang with her. Before I knew that she had left her body yesterday, Padma visited me several times in her energy body with a love and joy – and the last time ske asked if she could attend satsang tonight. Satsang tonight will end with a celebration to Padma with cake, Belgian chocolate, saffron bread and delicious mango juice. Satsang with Giten is a taste of the eternal, a taste of the timeless. It can feel like we sat for 3 hours, while we only sat for 40 minutes. I was so afraid that I would lose the silence that I had found during satsang in India, but I found the silence again in satsang with Giten. Samadhi is like dying. The fear that I experienced in the beginning in satsang when I went into samadhi, when I disappeared into the silence, has now disappeared totally. Satsang with Giten is like coming home. I went into samadhi three times during a satsang weekend with Giten – and I also got a map and an understanding for how to go into samadhi again. Before I started to attend satsang, I did not think that enlightenment was possible, but now I feel that it is possible. Satsang with Giten confirms what I have really always known. Darshan with Giten with on November 7 was both a birthday and a new birth when Toshen’s birthday was celebrated and she was also initiated by Giten. Toshen is initiated and is born again to the spiritual path. Giten gave her a new name and a a personal meaning to her name, which is a spiritual guidance for life. Giten told Toshen during the initiation: Your new name is Satyama Padma. Satyama is your path, which means truth. Padma is your individual name, which means a lotus flower of God’s grace, love and light. The meaning of your whole name is a lotus flower of God’s grace, truth, love and light. The lotus flower is an ancient symbol of the ultimate unfolding of consciousness. The lotus flower is the most beautiful flower in the East, the most fragrant, and it has become the symbol of ultimate awakening, ultimate awareness and ultimate flowering. The highest peak of your being is thought to be like a lotus flower. The lotus flower has become the spiritual flower for certain reasons. One is that it grows out of the mud. It is such a revolution to see the mud, and the lotus growing out of it. Padma commented that the initiation was a gift and Deva Emanuel said that there was an underlying silence during the whole evening. The birthday and initiation was celebrated with exquisite ecological cake and delicious ecological strawberry lemonade. As birthday and initiation gifts Padma received a dress from the Italian designer Missoni, whose exquisite design and colours was like a lotus flower. She also received Giten’s book “The Language of Silence: From Darkness to Light” and two necklaces that emphasized the lotus as the symbol of enlightenment. Padma commented that this initiation was a new beginning to her life. Both Giten and Padma also received beautiful pink roses, whose fragrance was like a scent from heaven. This book is a work of art, and a pleasure to read. It is both exciting, simple to read and it is filled with love and light. Many words and sentences in Giten’s book Silence is the Way go right into the heart. Giten is a master in transmitting the light and joy, without too many words. Buddha’s greatest message, his gift to humanity, is the message of no-self, anatta, silence and emptiness, spiritual teacher Swami Dhyan Giten says in this book. Giten continues: “First Buddha says don’t make a home in the world. Then he says don’t be attached and then he says look into yourself: you are not. First he says that the world is illusory: don’t make a home here. Buddha emphasizes very much the idea of homelessness, because the world is illusory. It need not be taken literary, but to build a home around you is like trying to stop the river of life, which is continuously changing. The he says that attachments of possessing people are just dreams, illusions. Drop all attachments from your mind. And then he comes to the deepest doctrine. The doctrine is: look inside, you are not. When I read this book, I feel like being in a modern mystery school. Thank you. It is the same feeling of joy, beauty and excitement, which reminds me of when the colibri unexpectingly picked me in the ear, or when the llama suddenly spit me in the face. This book is about the teachings of Buddha, which includes Giten’s own insights into this exciting journey and meditation of life. This book is a compilation of lectures during satsang with Giten on the teachings of Buddha. Satsang with Giten on Buddha is not about Buddhism, it is about creating a bridge. Buddha is one of the most unique and important spiritual masters that have existed on Earth. Through using Buddha’s wisdom as a jumping board, Giten gives life to words that has the power to change how we see the world. 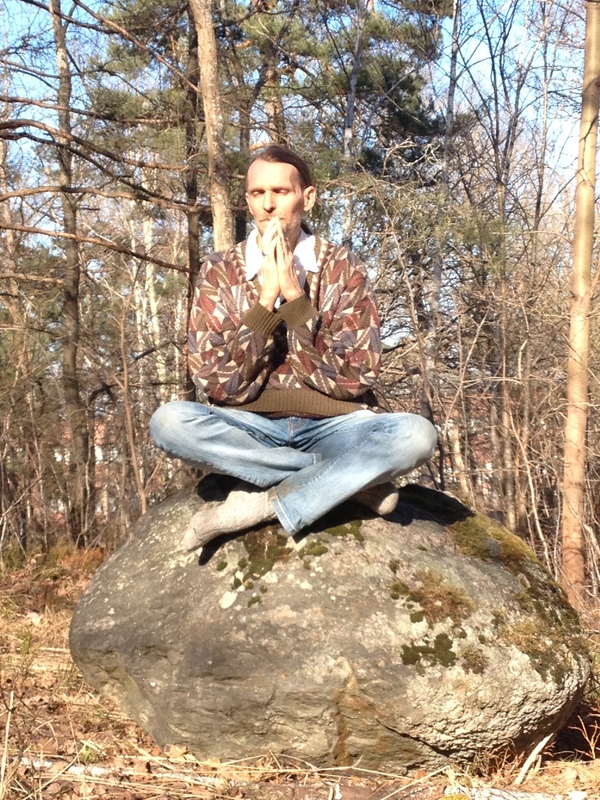 Satsang with Giten is a meeting in love, truth and silence. Satsang with Giten is a direct insight and realization of being. Satsang with Giten starts a lecture, which is followed by 40 minutes of satsang with Giten in silence and meditation. During the satsangs there have arisen a deep silence and unity in the group. Giten has talked about a variety of topics of concern for the modern man during satsang for example love, joy, relationships, acceptance, understanding, intuition, healing, trust, creativity, friendship, spiritual growth, evolution, society, life, meditation, silence, spirituality, mysticism, psychology, truth, wisdom, death, unity with life, God and enlightenment. He has also talked about a number of spiritual teachers and traditions such as Vedanta, Yoga, Tantra, Veda, Upanishads, Ayurveda, the chakra system, Tao, Buddha, Lao Tzu, Patanjali and Jesus Christ. During the satsang series with Giten on Buddha, he clarified the steps on Buddha’s way to liberation: the path of awareness and meditation. During this satsang series on Buddha, Giten encouraged us to use awareness, meditation and mindfulness to develop the natural discipline which comes when we listen to ourselves. It is then when we discover that silence is the way, that silence is the answer. This compilation of lectures during the satsang series with Giten on Buddha is for everybody that wants to find a new dimension of awareness in their lives, which will make you endlessly enriched and blessed. Delight in the call of the ocean. Capture the silence and allow yourself the fragrance of truth, joy and light. After the satsang with Giten on Thursday, 9 November, there was a celebration for Padma, who left her body on 8 November. Padma received pink roses and Deva Emanuel said that Padma was like pink roses. He also said that he had not had a relation before like the relationship with Padma. Kalyani, accomplished violin player, said that she would never forget Padma. We have named a star after Padma (1962-2017). Padma will be dancing in your love, in your joy and in your silence. She will be here in the stars, in the wind, in the trees and in her beloved nature. Padma’s ashes will be spread in the memorial garden in Skogskyrkogarden, the largest and beautiful cemetery in Stockholm. It is also the nearest cemetery from where Giten lives in Stockholm. The star is located in the constellation Pegasus (Winged horse). The name Padma for the star is recorded in the Staracle International Star Directory (see the Star Gift Certificate enclosed below).